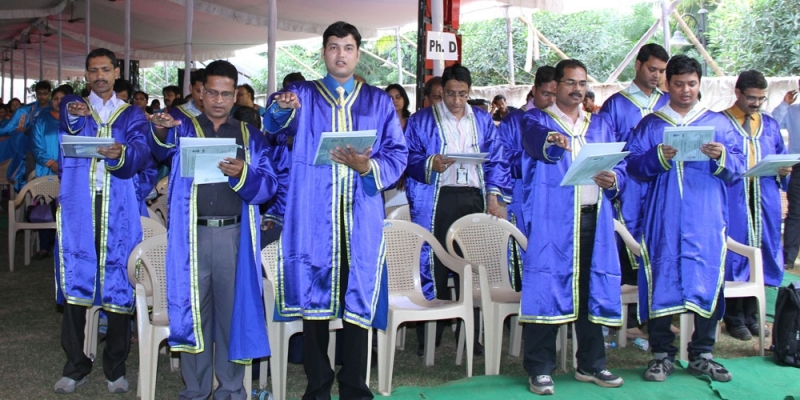 Total 1,568 graduates of 2010 batch of KIIT received degrees at the Sixth Annual Convocation of the University on 5th December 2010. In addition, the University conferred Ph.D. to ten candidates and D.Litt to one candidate. 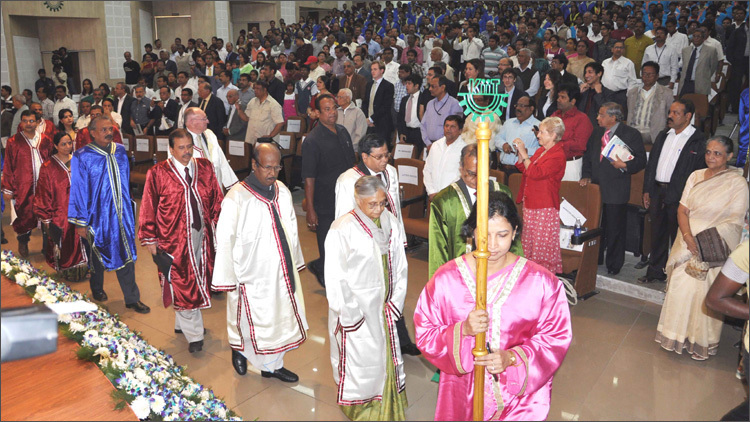 Shri M. C. Bhandare, His Excellency the Governor of Orissa graced the occasion as the Chief Guest and delivered the convocation address. 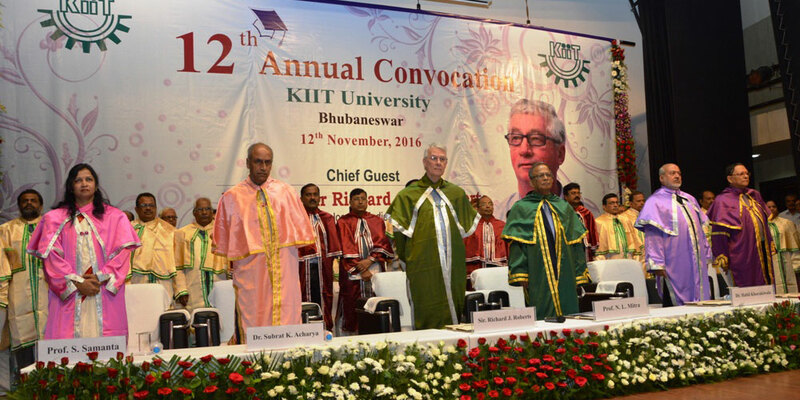 KIIT conferred Degree of Doctorate (Honoris Causa) to six distinguished personalities from various walks of life. 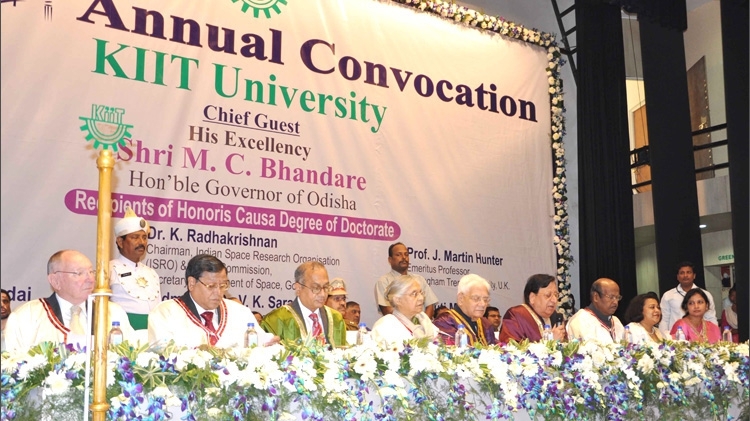 Honorary Degree of D.Litt was conferred on Smt. Sheila Dikshit, Hon’ble Chief Minister, Govt. of NCT of Delhi, Shri Prafulla Chandra Ghadai, Hon’ble Minister of Finance & Excise, Odisha and Dr. Sruti Mohapatra, Noted Social Activist & Chief Executive, Swabhiman. 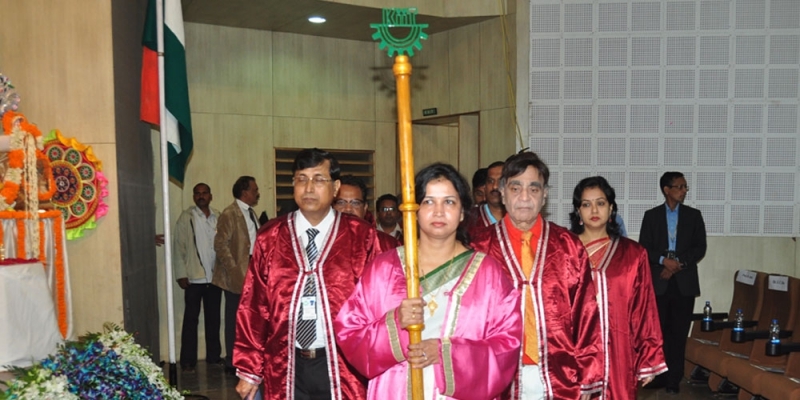 Honorary Degree of D.Sc. was conferred on Padmashri Dr. V. K. Saraswat, Scientific Advisor to Defence Minister & Secretary, Deptt. of Defence Research & Development, Ministry of Defence D.G., DRDO, Govt. of India and Dr. K. Radhakrishnan, Chairman, Indian Space Research Organisation, Govt. of India. The University conferred Honorary Degree of D.Law on Prof. J. Martin Hunter, Emeritus Professor, Nottingham Trent University, U.K. 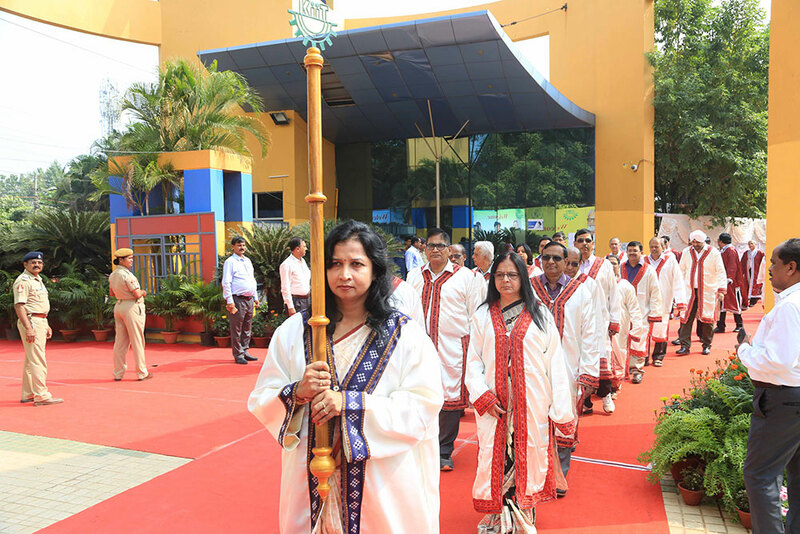 Speaking to the graduating students, Shri M. C. Bhandare reminded them that the society is waiting to see them join the task of nation building, and secure for India its place of pride among the leaders of the global community. 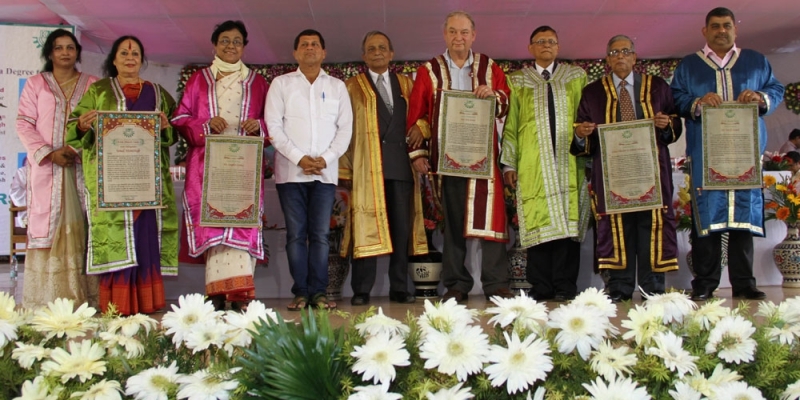 He advised the graduates to emulate the values of their alma mater and its Founder, Dr. A. Samanta, who made it a mission in life to reach out to the unreached and by setting up Kalinga Institute of Social Sciences, an institute for 15,000 tribal children. 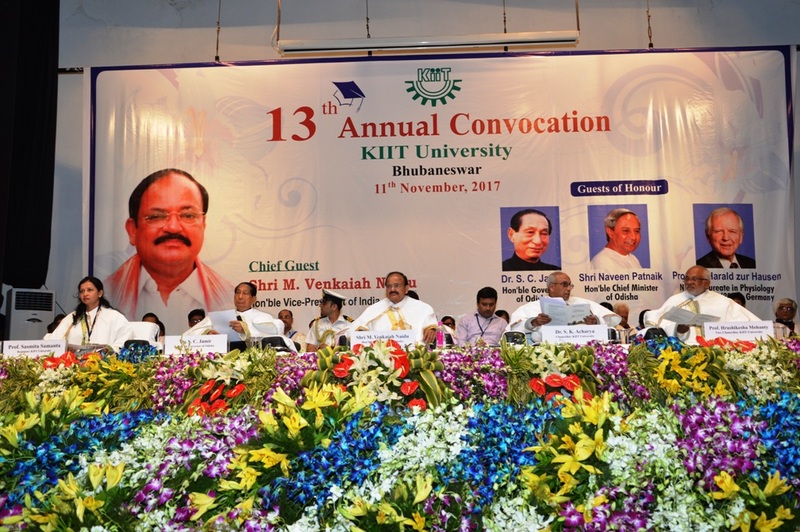 As a self financing university, KIIT has been doing remarkable work in education and research in India, the Governor observed, adding that continuous value addition has made KIIT, one of the fastest growing universities not only in India but in the world. Accepting the honorary D.Litt degree, Smt. Dikshit said that KIIT has an aroma of passionate pursuit of excellence and, above all, humane touch. Efforts and dedication of Dr. A. Samanta, Founder, KIIT & KISS have made it a very well known university in a short span of time, she added. 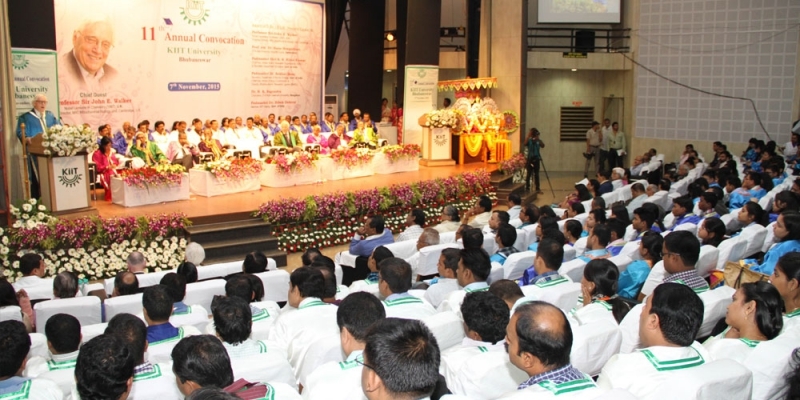 KIIT has emerged as an epicenter of professional education in the state, said Shri Ghadai. Expressing his gratitude, Dr. Saraswat termed the award as recognition for his team that has contributed immensely in making India self reliant in missile technology. 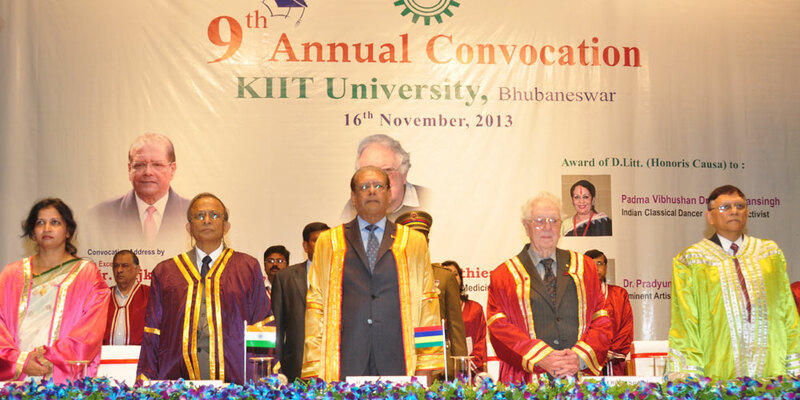 In his acceptance speech, Prof. Hunter called KIIT as his spiritual home. 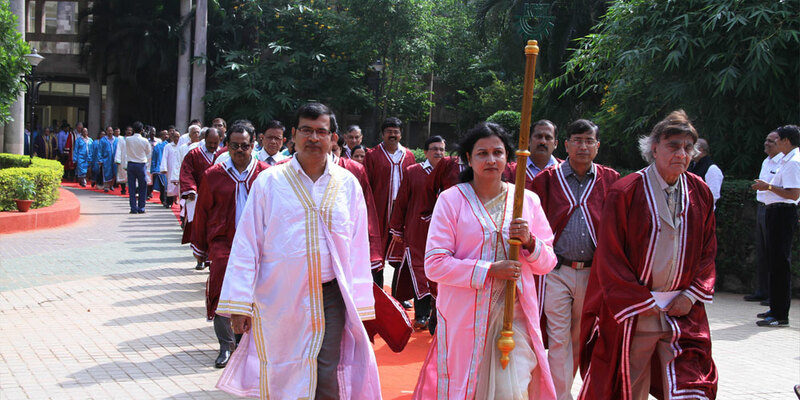 Determination of Dr. Samanta has changed lives of thousands of students, said Dr. Mohapatra. She advised graduating students to keep their homes and hearts open for persons with disability. 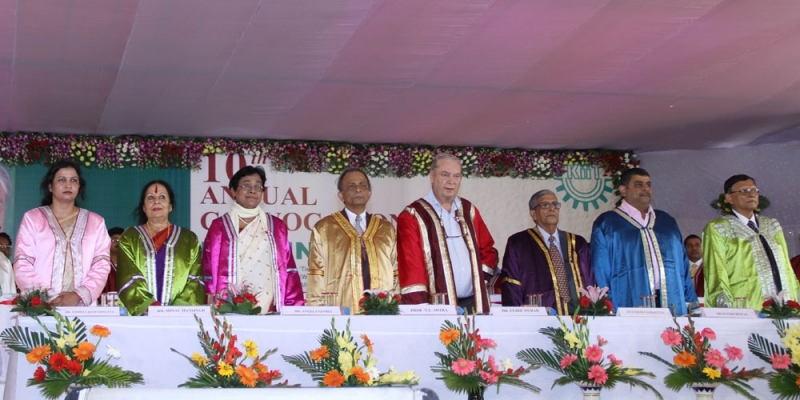 Academic value addition has enriched the institution, said Dr. Samanta, while emphasizing that KIIT is perhaps the only university which integrates education with human values. Expressing gratitude to the recipients of honorary degree of doctorate, he said it was a rare honour to honour them. 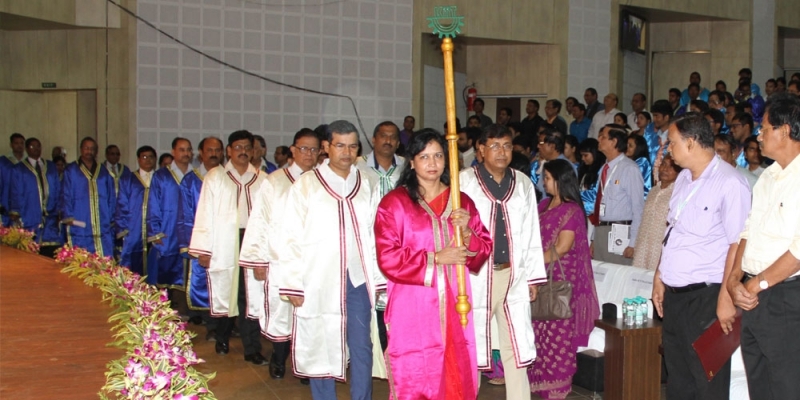 Dr. Samanta congratulated the successful graduates of the university and wished them a bright future. 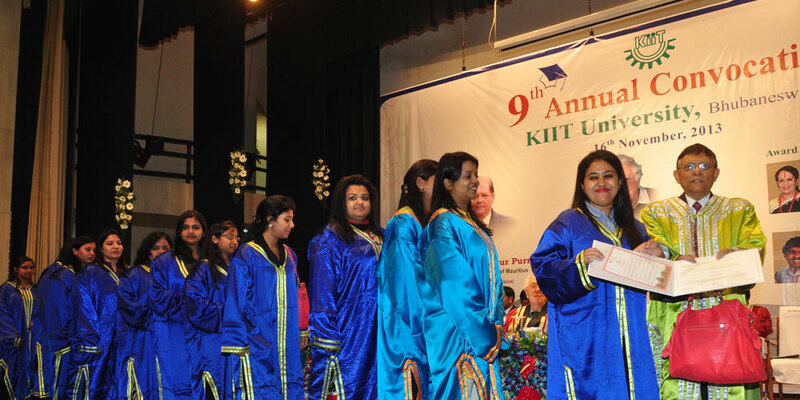 Speaking on the occasion, Dr. Hari Gautam, Chancellor, KIIT urged graduates to always be proud as Indians. 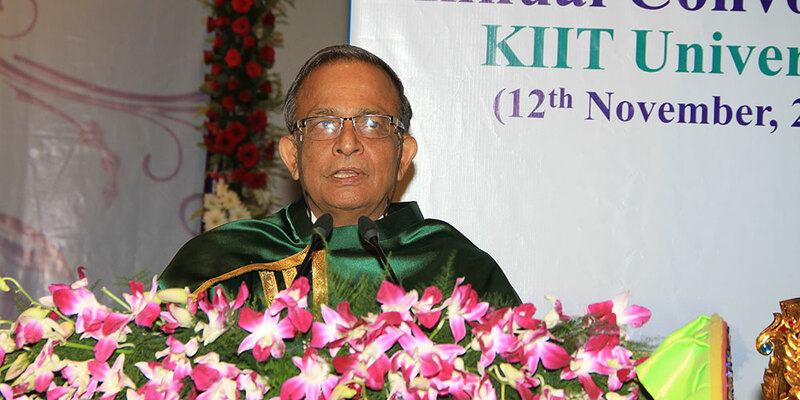 Stating that KIIT is one of the most dynamic residential academic campuses of this country offering academic diversity and confluence of modernity and tradition, he said that this has only been possible because Dr. Samanta’s special dynamism, a unique passion, an unabated commitment, an honest sincerity, personal sacrifice and a high indexed integrity. KIIT has taken steps to internationalize education and has signed MoU’s with more than 17 Universities from 12 countries in last one year, informed Prof. A. S. Kolaskar, Vice Chancellor. The University has appointed the best teachers and this has translated into high achievements of its students, he said in his report. Recently, the university has achieved exciting success in the field of research and development, he added. Dr. Sasmita Samanta, Registrar, KIIT proposed vote of thanks. Outstanding students were awarded gold and silver medal at the ceremony. Mahmudul Hasan, M.Tech in Electronics Engineering, and Namrata Kar, B.Tech in Electronics Engineering, bagged Founder’s Gold Medal for securing highest CGPA among Post Graduate and Under Graduate courses respectively.